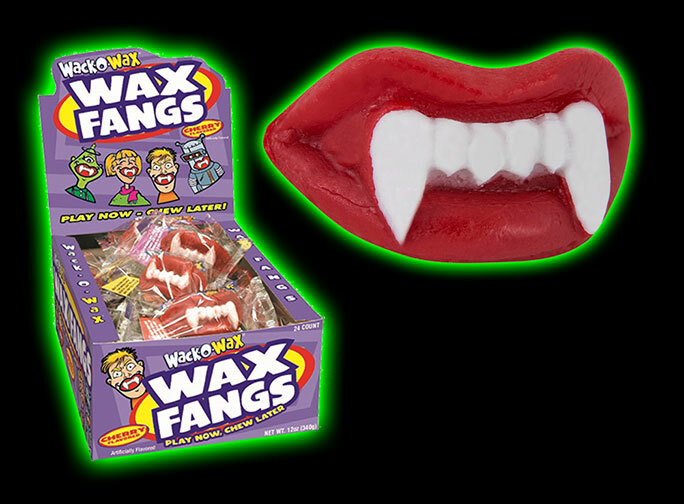 These wax fangs look like real vampire teeth. Twilight movie party as a fun favor. Individually wrapped. Fat-free. 6 oz. Peanut-free. Gluten-free.